Ben Stokes has ended his spell with New Zealand side Canterbury and is returning to England. The all-rounder, 26, was arrested in September for his part in an altercation outside a Bristol nightclub and was made unavailable for England selection "until further notice". He joined Canterbury in November, playing three one-day games and three T20s. "I have thoroughly enjoyed training and playing with Canterbury," said Stokes. "Everyone here has gone out of their way to make me feel at home. "It's a wonderful club and I couldn't have asked for any more from my time here." Data: Why does an extra 5mph matter to a bowler? 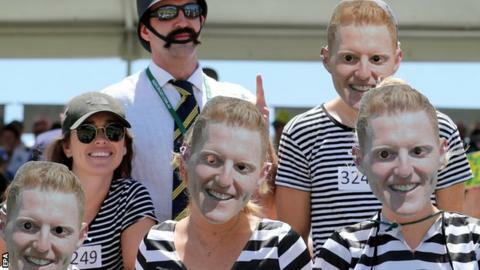 New Zealand-born Stokes is still awaiting the result of the police investigation. "Ben has been great around the club, the team and the staff. We can't fault his attitude or his all-round contribution in his time with us," said Canterbury CEO Jez Curwin. "He leaves with our gratitude for his time with us and for what he added to the squad during his time in Canterbury." Though Stokes was named in the squad for the Ashes after he was arrested, the England and Wales Cricket Board subsequently decided he would not travel to Australia whilst the investigation was ongoing. Speculation that Stokes may join the Ashes squad grew when he was seen at Heathrow airport after England's defeat in the first Test, but it emerged that he was on the way to visit family in New Zealand. He joined Canterbury soon after. The highlight of his six games was a 47-ball 93 in a T20 victory over Otago. Stokes has been named in England's squad for the one-day series that follows the Ashes, but remains unavailable for selection until the Crown Prosecution Service makes a decision on a potential charge.